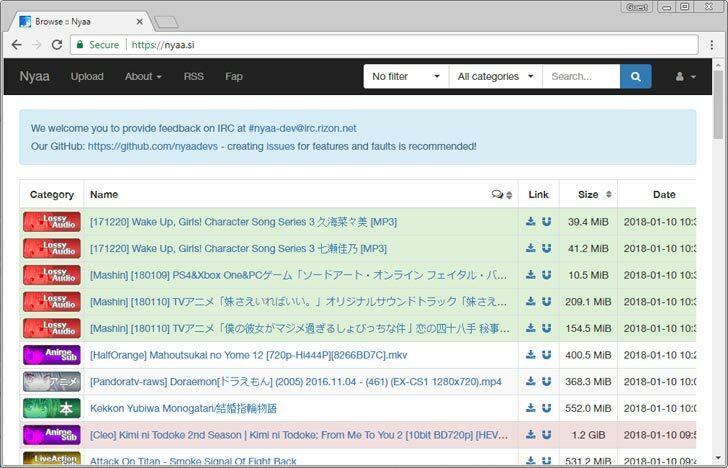 Nyaa Torrents long time ago was site dedicated for anime content. Originally this torrent site is from Japan and it became popular in recent years after included to torrent database TV and movie content. Currently Nyaa it is one of the largest anime content source in the world. Website is blocked? Open it with VPN + be safe! What is BitTorrent and torrent files?